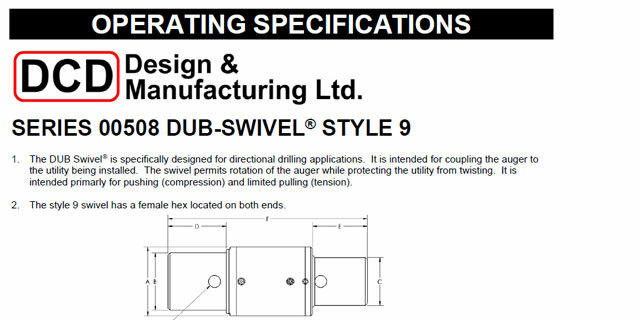 The 00508-940 Type 9 DUB Swivel® is an auger boring swivel, used in the guided auger boring process and installed in compression between the pilot rods and auger casing to prevent the rods from rotating as they enter the pit. 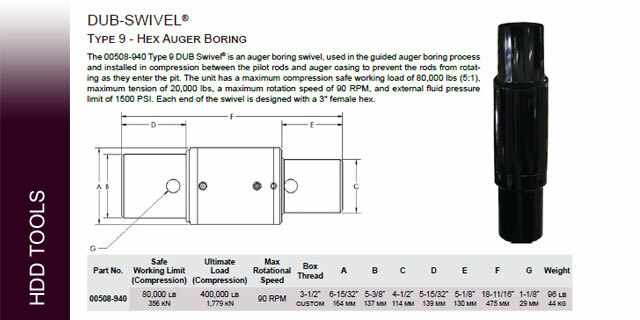 The unit has a maximum compression safe working load of 80,000 lbs (5:1), maximum tension of 20,000 lbs, a maximum rotation speed of 90 RPM, and external fluid pressure limit of 1500 PSI. 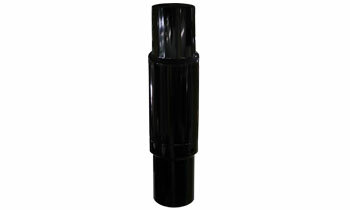 Each end of the swivel is designed with a 3" female hex. 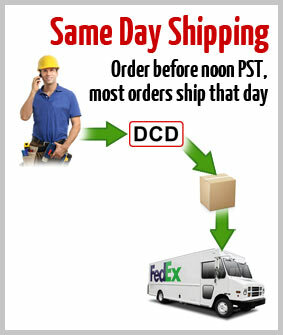 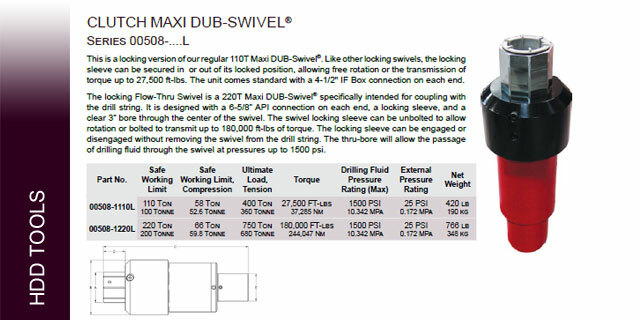 This DUB-Swivel has the same 40,000 lb. safe working load as its standard 00508-120D version, but unlike that version, the 00508-120DB has a pin connection at the leading end, a box connection at the trailing end, a locking sleeve, and a 1-1/8” bore through the swivel. 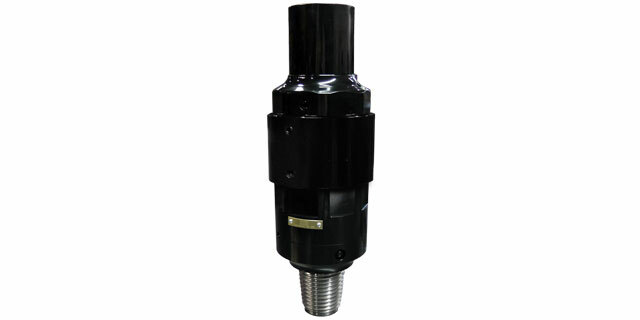 The locking sleeve can be secured in or out of position, allowing free rotation or the transfer of torque up to 2,000 ft-lbs and a maximum inner bore fluid pressure of 300 psi to allow the passage of drilling fluid. 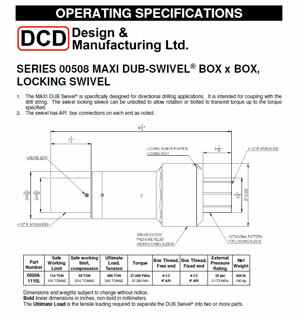 The 00508-1110L is a locking version of our regular 110T Maxi DUB-Swivel®. 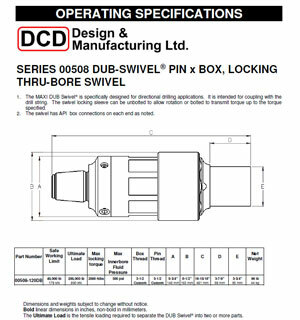 Like other locking swivels, the locking sleeve can be secured in or out of its locked position, allowing free rotation or the transmission of torque up to 27,500 ft-lbs. 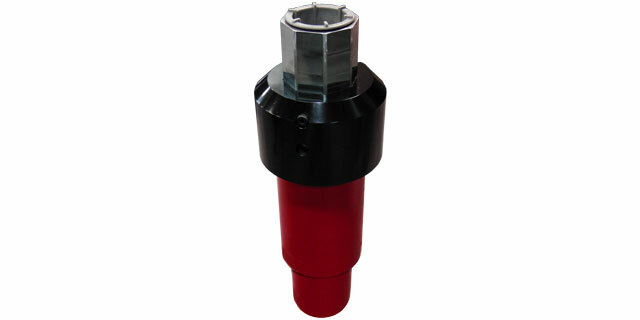 The unit comes standard with a 4-1/2" IF Box connection on each end. 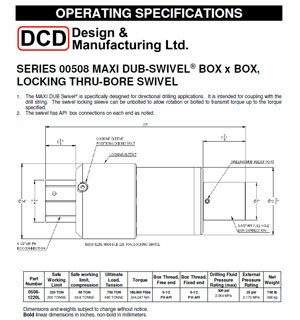 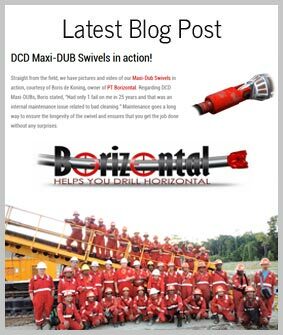 The 00508-1220L is a 220T Maxi DUB-Swivel® specifically intended for coupling with the drill string. 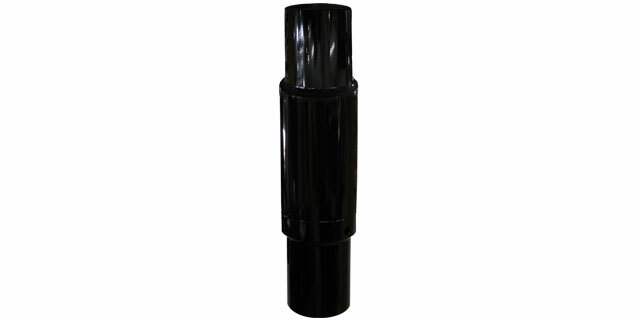 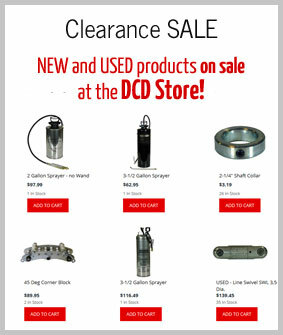 It is designed with a 6-5/8” API connection on each end, a locking sleeve, and a clear 3” bore through the center of the swivel. 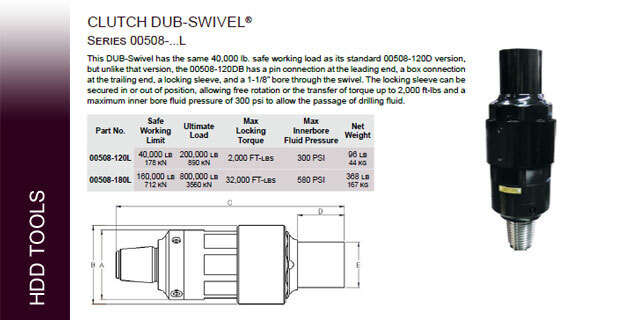 The swivel locking sleeve can be unbolted to allow rotation or bolted to transmit up to 180,000 ft-lbs of torque. 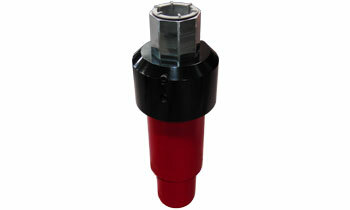 The locking sleeve can be engaged or disengaged without removing the swivel from the drill string. The thru-bore will allow the passage of drilling fluid through the swivel at pressures up to 1500 psi.